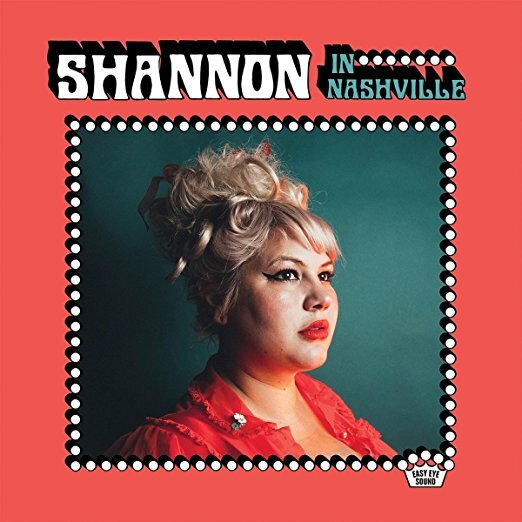 For her most recent full band release Shannon Shaw (as part of Shannon and the Clams) went to Nashville and crafted the groups most complete/successful record to date with the help of producer Dan Auerbach. Now Auerbach and Shaw take that partnership a step further as Shaw has released her first solo album with Auerbach's support titled Shannon in Nashville. The clear parallel, right down to the retro cover art, is the all-time classic Dusty in Nashville album from Dusty Springfield. Auerbach/Shaw clearly did more than just title the album in that vein; each song is packed with Nashville professional musician who made names for themselves in the 60's and 70's playing with classic artists like Elvis Presley, Aretha Franklin and even Springfield herself on that famous album. Nothing is off the table as strings, brass, chimes, electro-pulses and guitar effects are all tossed into the sound structure, heaping layers of production and vocals are embedded into every track. The extra polish and overproduction has an interesting effect on the album though as each song sounds lush and vibrant but Shaw's vocals and lyrics rarely sync up successfully the dramatic sonic palette; there sadly aren't any must hear songs on the record. Shaw just doesn't sound as invested in her singing and the verses/choruses, sometimes even getting overshadowed by the layers of backing vocals ("Goodbye Summertime" being one example). For a singer with range, passion and flair, the vocals sound detached instead of sultry or rebellious ("Coal on the Fire", "Lord of Alaska") or worse, just plain dull ("Bring Her The Mirror", "Freddies 'n' Teddies"). The lyrics also don't do any favors for Shaw as none of the tracks contain a hook or verse that stands above the music and catches the ear for multiple spins. The playing itself is incredibly layered, with everything from the warbling guitar solo that closes out "Cryin' My Eyes Out" to the bubbling bass of "Broke My Own" to the skittering drums on "Make Believe" and the excellent trumpets which punctuate the Latin tinged "Leather Metal, Steel". "Golden Frames", "Love I Can't Explain" and "I Might Consider" do the best job pairing the marching beat and swelling sense of drama with classic soul strings and overloaded rhythmic crashes, successfully representing all players. However it is the track "Cold Pillows" which sums up this release. All the ingredients are present for a classic song in this early 70's pop/soul style but things never truly coalesce. The best lyrics on the record are presented in patented weeping soul style, with male backing vocals juxtaposing Shaw's breathy lead, all in front of gorgeous strumming, building around a slapping snare, strings, piano and rhythmic punctuation, trying to climb to cinematic heights. Unfortunately the end results come off more sterile than soul stirring like Shannon in Nashville overall.